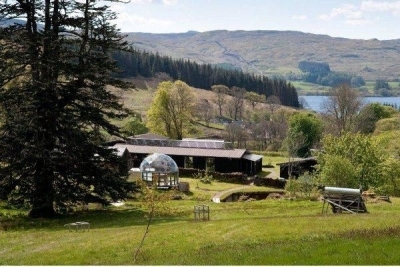 A health retreat to Scotland. Somewhere you can recharge, restore and renew, whilst surrounded in stunning Scottish scenery. Visiting these remote, (quite often technology free) wilderness spots, you naturally do start to just feel very well!! Your shoulders drop a couple of inches, you breath in the oxygen rich air a bit more deeply, and cares back at home just melt away into the woodlands or across the majestic mountains. Imagine a slow paced holiday with crystal clear air and beautiful horizons stretched out all around you… and space, sooo much space. But the BEST bit - you don’t have to think. Someone else has done the thinking for you, and is there to take care of YOU… to restore YOU back to your full health potential. How you are restored will depend on your choice of retreat, but most include healthful food, exercise, yoga and possibly hot tubs under the stars and other soul enhancing sessions. Admittedly, you’ll be doing a group holiday with other people you don’t know, which can be a daunting thought. However there’s something about connecting with a new, small group of people, which can also be so enlivening and enriching. So, need you journey to India or Bali to find restoration? - especially as the flights back will probably return you to usual stress levels. Why not combine a memorable holiday with an investment in your mind, body and soul. Scotland is getting rather good at these wilderness health holidays… I’ve listed the best ones here…. 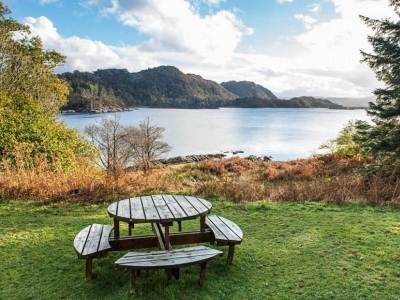 Eilean Shona is a stunning private island off the West Coast of Scotland with no cars, where you are cut off from the world and all its stresses, immersed in nature and surrounded by wildlife. Kate Winslet recently described it as her ultimate chic retreat no less. It’s a perfect place to retreat and re-charge batteries. In groups of no more than 12, the course explores creativity in this unique island setting focusing on painting, writing and mindfulness. There are yoga and meditation sessions, plus wild swimming, boat trips and the opportunity to paddle board or kayak. With no television and weak mobile signals, this is a semi-digital detox in very comfortable accommodation with a mix of en suite rooms and shared bathrooms, a billiard room, piano and library. 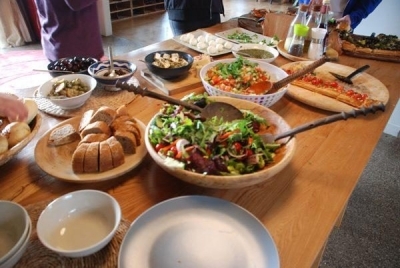 Delicious home cooked nourishing vegetarian food, plus optional locally sourced seafood and venison is provided. Eilean Shona is in the Branson family, so you can expect a world-class experience in this heavenly island haven. Garmoran Square is situated on the north shore of Loch Shiel - yet another idyllic spot in the picturesque Scottish Highlands. 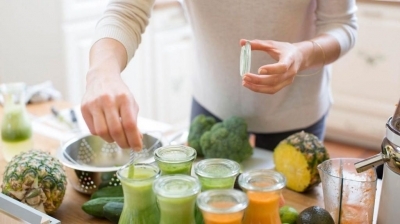 Immersed in nature, fresh air, wildlife, history and dramatic scenery, The Body Toolkit retreats guide you through simple techniques and a nourishing juice detox diet to achieve long-term change in your body and mind health. Ran by Katrina Mather, the six night programme rewards you with a body that looks and feels lighter, clearer and brighter, and shows you the techniques to maintain your goals and ideal weight for life. The accommodation set round an elegant courtyard, is comfortably luxurious and includes open fires, log burners and solid oak floors. In addition, there is the decadent warmth of under floor heating, making this retreat a very viable option even in the cold Scottish winters - lets all just book in for January now then shall we? In this intense five-day survival skills course, participants receive a crash course in Bear’s extreme survival techniques. Starting at base camp in the heart of the Highlands, you’ll be coached by instructors who have been hand-picked and trained by Bear and the team of survival experts who worked on his Channel 4 show, ‘The Island’. You’ll learn the priorities of survival, rope and knife skills, and wilderness navigation. You’ll push yourself with a field physical training session, and a lesson in self-defence, self-preservation and primal instinctive training. You’ll head into the Glen on foot to forage and trap your food, build a shelter, and camp out overnight all the while learning fire lighting, rescue signals, river crossings, and stalking, among other techniques. This survival retreat is NOT for the feint hearted, but probably ultimately the most invigorating and possibly rewarding retreat amongst them. However, the STUNNING Alladale Reserve host a number of much gentler retreats… which I can whole heartedly recommend. Check ‘em out! The Dell of Abernethy is a collection of self-catered cottages located in the woods near Nethy Bridge, northeast Scotland. The owners are hospitable, homely, hardworking, artistic types who’ve created a special magic here. Set in the most beautiful surroundings, your log fire is lit on arrival and there are freshly baked chocolate brownies waiting to be devoured. It’s that kind of level of detail which exists throughout these home-from-homes – which are the most well equipped holiday accommodation I've ever seen. Your retreat hosts, are Rachel and Danni, who’s weekend course is all about body love, sacred connection and feminine energy. You can expect daily meditation, yoga and creative workshops. All activities are based around specific themes, intention setting and learning how to reconnect and fall in love with your own body. This is a dreamy retreat in a dreamy place… no previous experience needed.. I’m in! The rustic retreat of EcoYoga on the beautiful West Coast, features a bath by a wild river, an underground sauna and a solar-powered hot tub for some mindful cold plunges and hot soaking between classes. Mainly ashtanga-based teachers run retreats here all year, including the ashtanga and mindfulness expert Laura Grace, who teaches a self-practice method and encourages you to practise on your own during the retreat. There are usually two, two-hour-long classes a day with chanting, talks on yoga and healthy veggie meals (including raw chocolate cakes). The surrounding areas are absolutely beautiful. Wild and natural.